The basic idea behind paraphrasing is to rewrite a direct quote from a text such as books or journals into your own words, oftentimes to avoid plagiarism. Paraphrases are useful in essays, research papers, thesis, case studies and virtually all academic writings. It is important to note that a paraphrase is different from a summary. Paraphrasing means you have to transform a passage from a book or a journal into your own choice of words and in your own ideas. 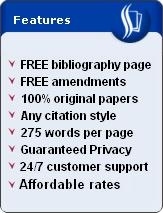 Summarizing means condensing an entire written work, a chapter from a book, or a section of a journal into a concise manner. How to paraphrase a direct quote from a book or a journal requires three simple but useful tools. Here are several tips for paraphrasing. Ideas. Ideas. And ideas. Three ways of saying the same thing. Basically, you need to have your own ideas after a careful reading of the text and its sections you are supposed to paraphrase. Since paraphrasing is an integral part of writing effective essays and research papers, a good understanding of the text will enable you to relate what you have read with what you already know, which significanly eases your task of paraphrasing. But how do you exactly paraphrase? 2. You rewrite that idea by using your own words. a. After reading and keeping in mind the message behind the original text that you'll be paraphrasing, keep the original text away from your view. If it's from a book, hide the book somewhere else. And then, try remembering what the main message was about. Next, write down what you thought the main message was about. Lastly, go back to the original text, cross-check what you've written with the original text, and insert the proper citation right after what you've written. And viola! You've just paraphrased! Or try the next one. For lengthier sentences, or for an entire paragraph, try to locate the subject and the verb for every sentence in the paragraph and then look for the "hint word" by. If there's a by in the sentence, no matter how long it is, it is certainly in the passive voice. Reword the sentence into active voice. If there is NO by, the sentence is in the active voice. Reword it so that it becomes a sentence in the passive voice where the subject is the receiver of the action. 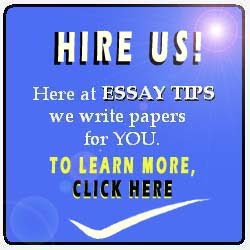 You may want to find out how to summarize a research paper, an essay, a book or other articles. 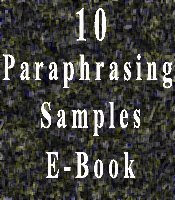 Or you might want to read some paraphrasing samples, know what paraphrasing is, how to paraphrase a poem, or read about quotes versus paraphrase.